Finding a home in one of Galway’s most desirable areas is never easy, and finding one with a sun filled west-facing back garden is even more difficult. No 1 Glenard Road, Salthill, was built approximately 44 years ago when large, bright, spacious, living accommodation was the norm. Situated in the heart of Salthill but away from the hustle and bustle, No 1 has the additional attraction of sitting on a sun filled west facing back garden with an extra wide side entrance with lots of space and potential to extent and develop. The accommodation at No 1 Glenard Road currently consists of four bedrooms, large sitting room with fireplace, separate dining room with fireplace, fitted kitchen, utility, downstairs toilet, bathroom, and garage. This home also has a very large attic, which has already been part converted for additional storage and work area. With all properties, location is all-important, and for parents spending their time in their car taxiing their children to and from school, Glenard offers an answer. Several schools, both primary and secondary, are within walking distance, as are the local GAA club, tennis club, golf club, swimming pool, beaches, parks and city centre. 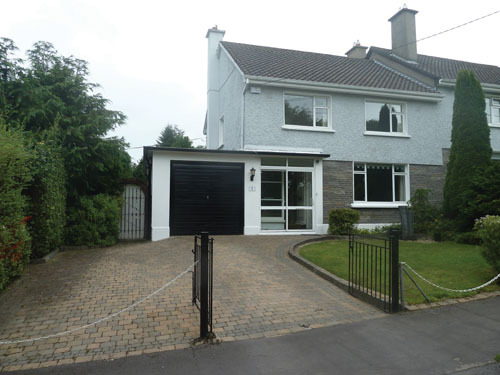 No 1 is for sale by private treaty at an attractive guide price of €325,000. Viewing is recommended by contacting Colleran auctioneers at 091 562293.